Our Stamford facility is located at 1063 Hope Street at Twin Rinks on the second floor. We have a great physical therapy space equipped with a custom golf simulator and space for pilates reformer sessions. 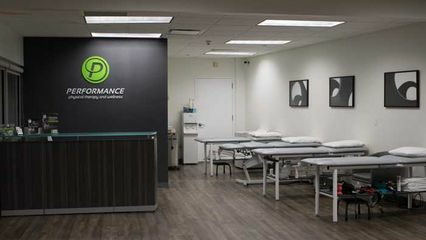 Sam Sheppard PT, TPI is a physical therapist based out of our Stamford location. Sam graduated from Sacred Heart University with a bachelors degree in exercise science and physiology and was the captain of the varsity wrestling team in 2012 and 2013. While there, he was named to the Eastern Intercollegiate Wrestling Association's 1st team all academic. Sam went on to complete his doctorate in Physical Therapy at Sacred Heart and has developed a special interest in golf rehab and sport-related injury, as well as completing his TPI Golf Certification through the Titleist Performance Institute.